Situated on the southernmost coast of Cyprus, the 6,000-year-old city of Larnaka features a bustling promenade full of bars, cafes, restaurants, and plenty of spots in the sun. Stroll along this shoreline walkway, called Finikoudes, and enjoy a drink along the promenade day or night. If you'd like to venture away from this palm-lined tourist center, head to the city's old Turkish neighborhood, see its Byzantine church, and explore its medieval fort. With several archaeological and historical sites, plus a lively beachfront scene, Larnaka offers much to experience. Larnaca is in Larnaka District. 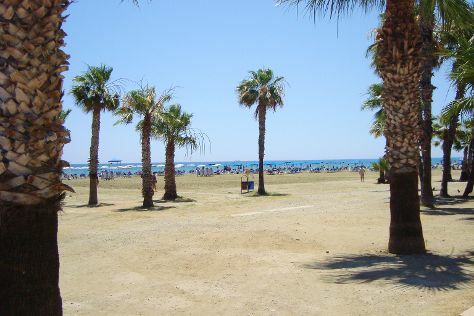 Plan your trip to Larnaca and other Cyprus destinations using our handy Cyprus online tour planner .